John is a graduate, with distinction, from the University of Virginia and the T.C. Williams School of Law at the University of Richmond. John’s practice is concentrated in the related areas of estate planning, administration, and taxation, estate and fiduciary litigation and family business planning. He has previously spoken and written on various topics relating to estate planning, taxation, probate, elder law, and family businesses. 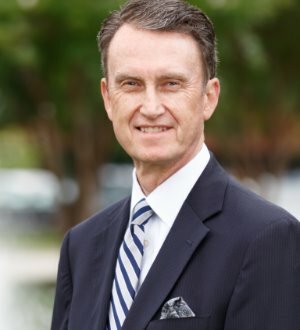 In addition to his busy practice and speaking schedule, he is actively involved in the Hampton Roads Estate Planning Council (President, 2010-2011), and the Duke University Estate Planning Council. He has served a Chair of the Trusts & Estates Section of the Virginia State Bar. He is currently serving as Chair of the Trusts & Estates Section of the Virginia Bar Association and is on the Board of Directors of the National Association of Estate Planners & Councils. He is an AV-rated attorney as well and is included in the 2006-2018. Editions of The Best Lawyers in America®. He is a Fellow of the American College of Trust and Estate Counsel and has been designated as an Accredited Estate Planner ® by the National Association of Estate Planners & Councils.